The DXi4500 deduplication appliances with DXi 2.0 software provide an affordable and easy way to speed up backup and reduce data protection costs for small and medium businesses and for branch offices and distributed sites. DXi4500 appliances are turnkey solutions that can be deployed seamlessly with all leading backup software using a simple NAS interface. 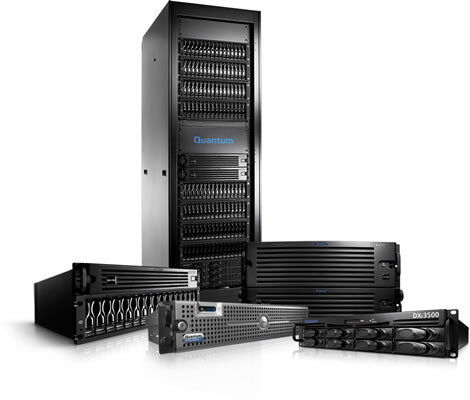 They are designed for rapid, seamless integration and maximum client performance without changes to existing backup architectures or potentially disruptive media server upgrades, unlike software-based deduplication. Each DXi4500 model includes support for remote replication, virtual environments, and Symantec’s OpenStorage (OST) interface as standard features.